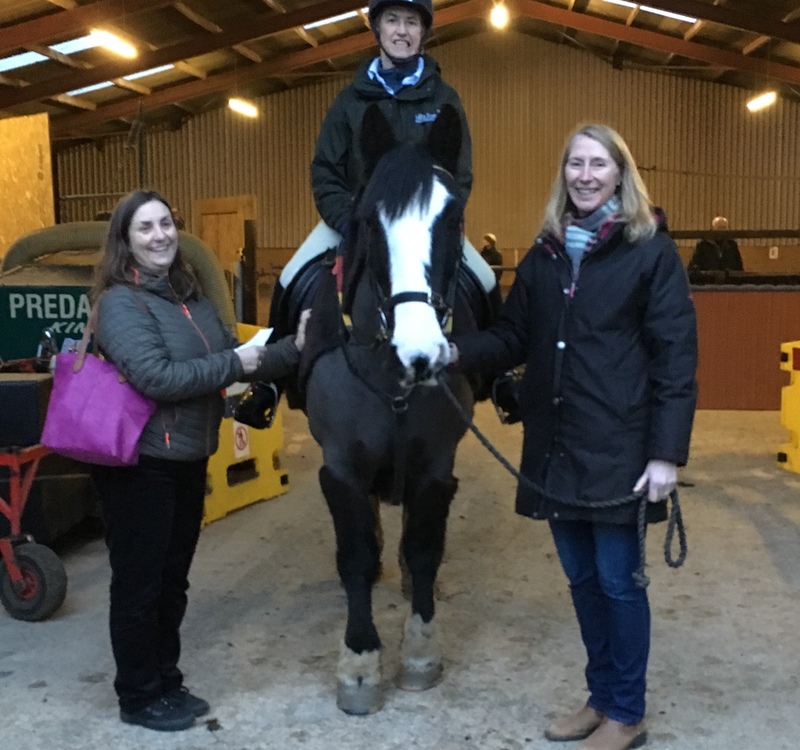 We really enjoyed meeting with Yvonne Stephenson at our session who came to present us with not one, but two donations, to sponsor two of our riders. One was from the Stratford Riding Club for which she is the Treasurer and the other from Willicote Equestrian Centre ,Yvonne and her husband David’s yard near Stratford, where the SRC meet. Here she is on the left with Kathryn the rider that SRC are to sponsor and Fiona our new Sponsorship Secretary. We are so grateful for your support and do hope that you and other members of the SRC come and visit us in the New Year. Previous post: Well done Scarlett!